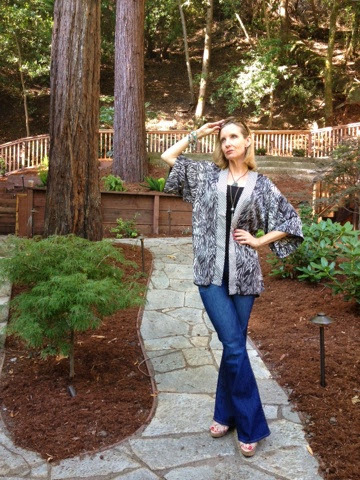 Never one to let a trend pass by untried (even if that just means in the dressing room), here’s my salute to the kimono craze! 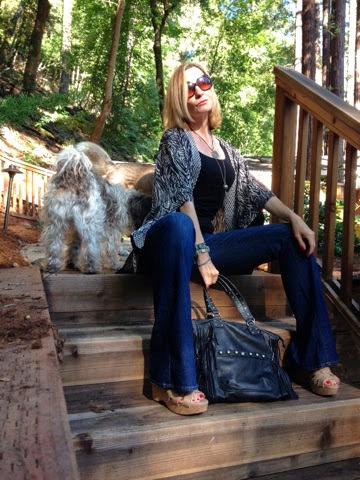 I’m loving this trend … so boho, so 70’s, so comfy! 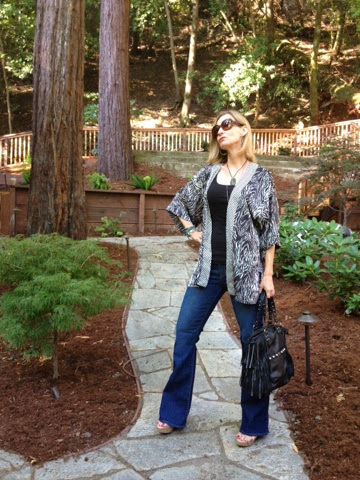 Wearing my kimono here with flared Lucky brand jeans, Michael Shannon wedges, basic black Old Navy tank, Carlos Santana handbag, and lots of fun jewelry. Not sure if I’d really wear a kimono too often, I didn’t want to invest a lot. Got this pretty one on sale at H & M.
The bottom pendant is Lucky Brand. Just adore their vibe! Nice that the kimono covers the rear end so well! Don’t you hate it when something cuts you off at an unflattering spot? So Dolls, what do you think of the kimono trend? I’ll be keeping my eyes open for another one … maybe something longer, and more colorful … with fringe! Follow me on Bloglovin’ and make my day! Linking up with Pink Sole! 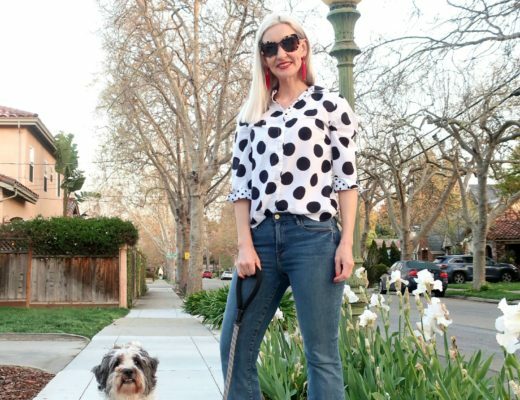 Linking up with Lisa a la Mode! 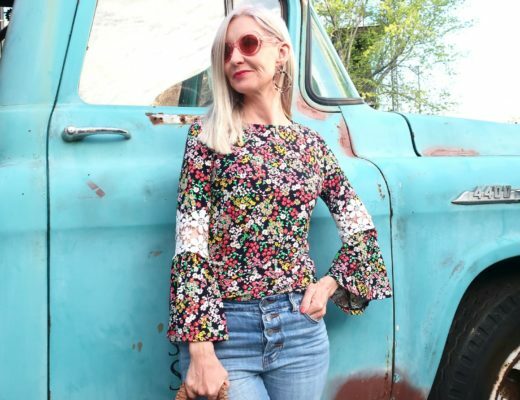 Linking up with More Pieces of Me! Linking up with I would so rock this! 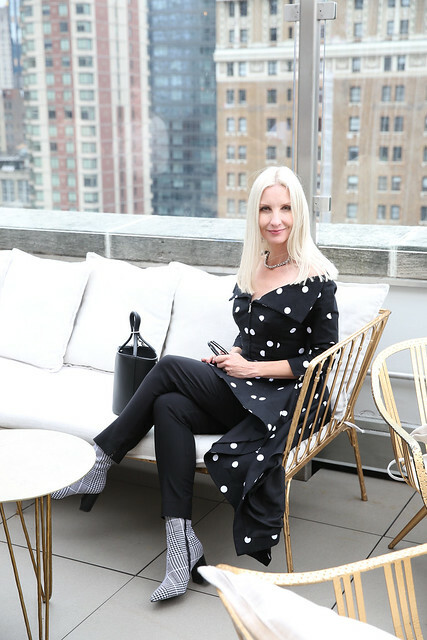 Linking up with Stylish Tuesday! Linking up with Confident Twosday! Linking up with Tuesday Pretties! Linking up with What I Wore Wednesdays! Linking up with Spotlight of the Week! I haven't tried the kimono trend, but it looks great on you! Your dogs are super cute! My dog also enjoys to "photo bomb" my pictures. Aww thanks, Tina! I love Lucky Brand jeans! The kimono looks lovely and it's such a great print. Really amazing location for photos too. I really like the kimono trend, but I haven't found one I want to purchase yet. I love the way you styled yours. It's so cute and your layered necklaces look great with it! I love them too much! I say that because I have three of these hanging on my bedroom wall and I'm almost finished with one that I made myself from an 80s pattern. It's going to have fringe on the bottom and my own art on the back. I think they're wonderfully versatile. I've been loving the kimono trend too! They're so comfortable! 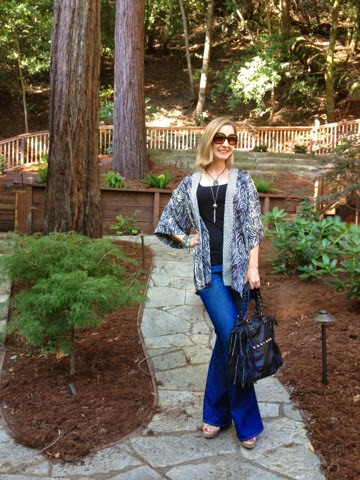 The mix of kimono and jeans is in-cre-di-ble! So stylish and stunning! 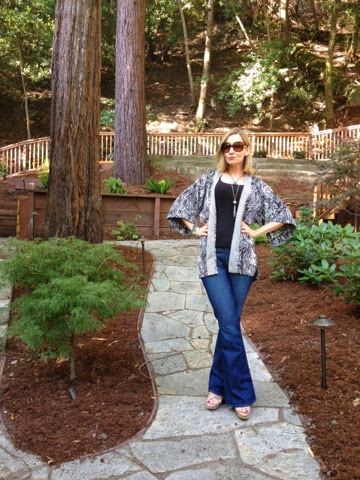 The mix of these jeans and kimono is simply incredible! So stylish and stunning! Cute! I just bought a kimono and I cannot wait to style it! Dawn, firstly, I must say I love your poses in these photos. You look fantastic in those jeans and that kimono is beautiful. Hugs!! You nailed the boho chic look! Love kimonos! Such a great look and I love your wide leg trousers! I love it on you, how it drapes, and the print. Lots to go with . I like how you paired it with lovely flared jeans and sandals, making your legs look even longer> Looking fab!!! Thanks so much, Jessica! OXOX My legs look long? Yay! 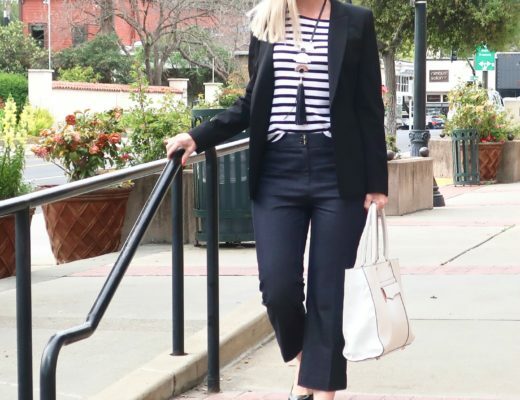 Loving the retro vibe of this look….love the lean look created by the pants! I used to live in Palo Alto and my child was born there too. It has been a long time now. Love Kimonos!! Can't get enough of them! Great outfit! Thanks, Ashley! Super comfy too! Thanks, Carylee! A kimono would look fab on you, but what wouldn't, Dear?! I have been wanting a kimono but have not found one that I love just yet. 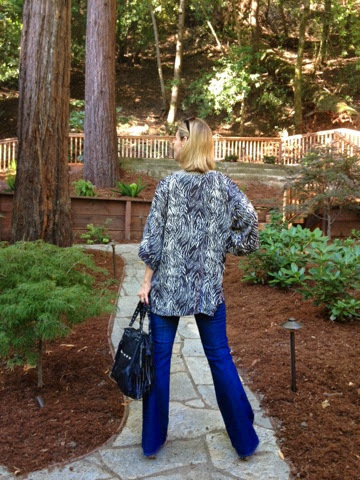 I am wearing some flares on the blog today too. I'll check out your flared jeans today! Love your blog! Your kimono is striking and very trendy. I'm still looking for one but I just can't find 'the one'. It looks great with bootleg jeans. Fab photos! I love kimonos and this one looks great on you!! 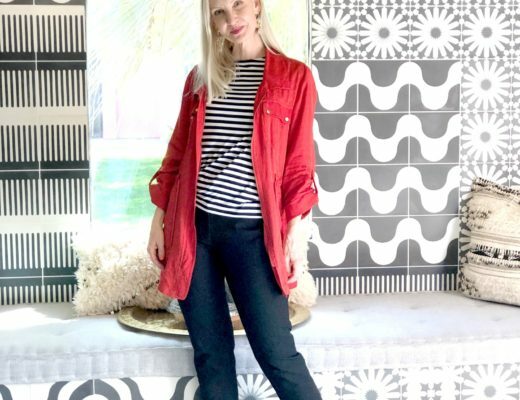 Love this kimono and how you styled it! Such a fun, funky look! 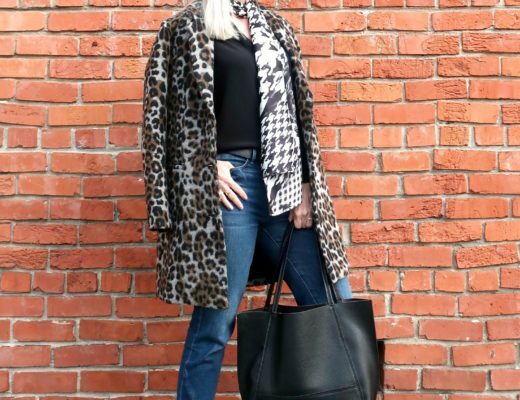 This kimono is so fun on you! You are absolutely fabulous!! I love love this look! I love kimono jackets and tops and have a few myself. This one looks great on you! I haven't tried a kimono yet – but you may have convinced me! LOVE this one on you – perfection! Thanks so much, Lana! I'll be looking for a kimono on your blog! 😉 Hee. I love the kimono on you. I look frumpy in mine. You look stylish and pretty. I collect dragons, too. My husband has a dragon tattoo. 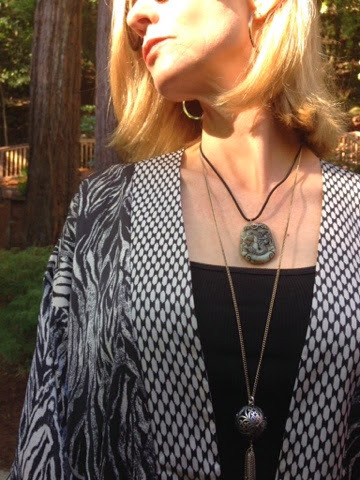 I covet your necklace! I love the kimono trend! I am like you…love the trend but one is plenty!! Thanks for linking up with I Would So Rock This and happy weekend! !